Lions and Tigers and Bears oh my! We have everything from cows to monkeys - adorable plushes that will be loved for years! Our add-on Teddy Bear is only $9.99 with any gift purchase. Other plushes vary in cost. If you would like to add one of these to your order, please indicate your choice in the notes when placing your order. We will contact you with cost and availability information before completing your charge. If you would like to add-on the Teddy Bear, go to Plush Teddy Bear under the Valentine's Day Online tab. 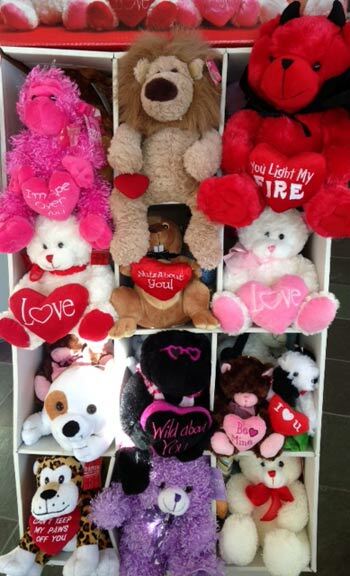 Click the button below to add the Valentine's Day Plush Animals to your wish list.